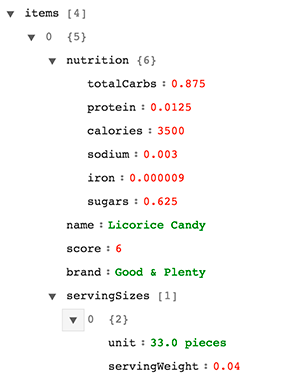 Expected return is a JSON with recognized food results. All responses have the same JSON format. Results are grouped under the main food category (e.g. Bacon, Salad, ...). Each group contains multiple items corresponding to specific group. The only "special" group is Packaged Food. 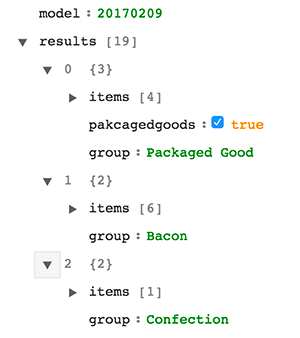 Packaged Food group is returned only in case when Food Recognition API thinks that the item might be a packaged food. The group is also marked with a flag: packagedgoods=true. Looking at Example response Here we have to keep in mind all values are in basic SI units.